I’ve done some more digging after last week’s post on the imminent Forerunner 245 and 245 Music. The two 245 product releases are a near certainty, just take that as being correct and focus on some even more exciting news. There is evidence that I have seen which shows that the Garmin Forerunner 945 is to be released very soon ie by the end of May 2019 and possibly in mid-April. It is highly unlikely that the changes to the above web page on Garmin Germany’s site would be made months in advance of the ANNOUNCEMENT. The announcement could literally be tomorrow…err April Fools’ Day. OK maybe not. But it could be this week. My bet would be Tue 9/10 April. 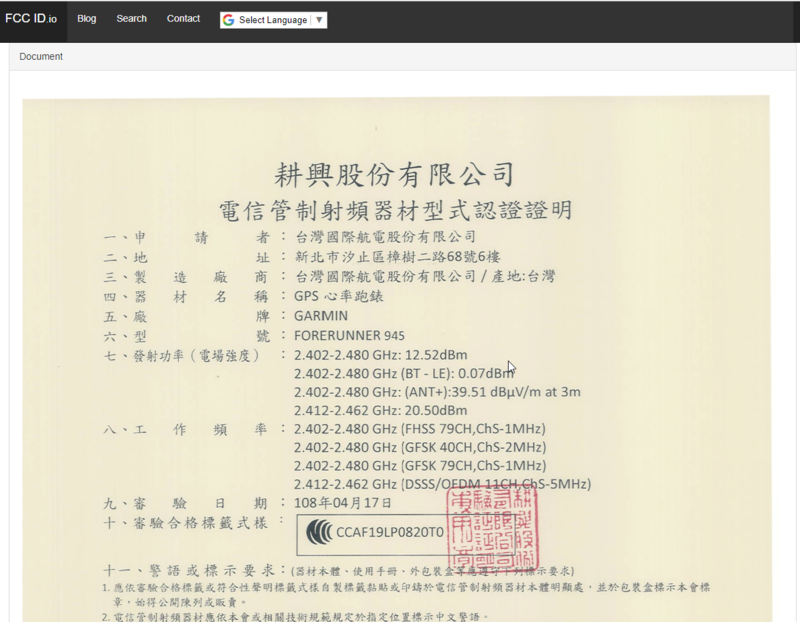 Here is some more info proving listings on Garmin’s global sites (via @Phoner). Only a blue 945 is listed like the limited colours of the 920XT maybe!! Will it be goodbye to the circular watch face? I hope so but think not. The shell of the 920XT (with a better colour scheme) plus the 935 and F5+ innards would be great. The link at the end of this document gives a good indication of what features will be in the Garmin Forerunner 945. It’s pretty easy to guess 95% of what will be in it and speculate about the other 5% with a reasonable degree of liklihood. Jeez. there will even be new features like auto-transition support. New speed and cycling ANT+/BLE sensors ARE being released VERY SOON with the Garmin Edge 830. Will we see a new HRM-TRI-DUAL and HRM-SWIM-DUAL ? Maybe even a new running pod to come with the Forerunner 245 / Music? Let’s get all 3 of these upgraded please. Interesting… But this kind of screenshot would be stupidly easy to mock up – especially with the standard ‘broken image’ icon. And it will be Blue. possibly at that time but i would have throught that would be a better time for the 830. I would suspect garmin to announce any new device BEFORE an event like that to ensure maximum consumer exposure. page down to the packaging. it shows the ‘standard’ ‘square’ box that is typical of a watch. nothing exciting is on the box. the best angle now is to wait for the leaks to come from non-FCC sources for this particular watch. There will be something meaty soon enough. Same “old” Forerunner 245, nothing new. my guess would be next week. Ray did say a while back that “Boston Marathon is the other likely launch time for running watches” – paraphrasing his response to someone asking about new Garmins. it does. not for the 945 tho. That would fit to the idea of week 2-3, but I’m sure that Garmin would not wait until this date to present their new devices…. so an announcement can be before that. however i sill am envisagin we will see 2 announcements edge830 and 245/945. one in may and one in the next 2 weeks. edge830 may well be around SeaOtter…likely a few days before if so. 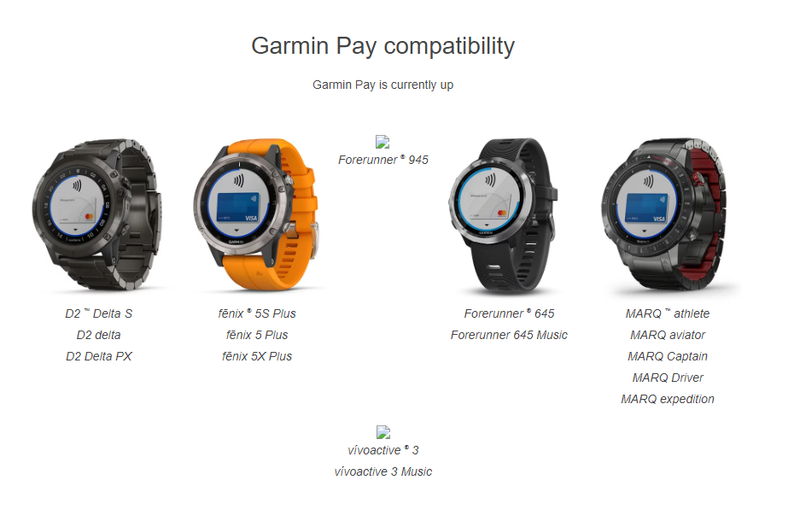 it’s in garmin’s interest to get these devices to market ASAP…peopel are buying their spring sport watches NOW !! I’ll see them again tomorrow, and they will not tell anything, I’m sure. so we have the 830 this month and then 245/945 in may…i’ll buy that. they may read it for light entertainment 😉 but their plans will be unaffected by it. any dealy could be production/distribution/bug-related. I just got an e-mail from wahoo saying: “Something new is coming… April 11th” – the long due Rival watch? 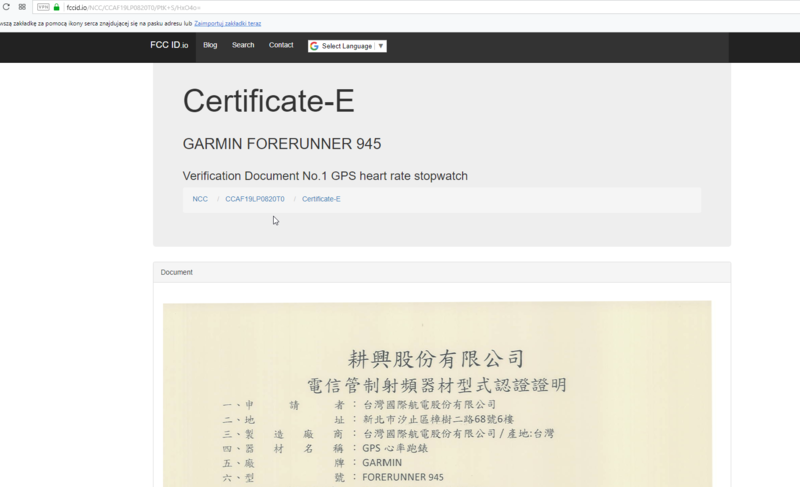 Maybe this will speed up Garmin..
Actually nothing exciting, except Forerunner 945 is in official document. No release date nor features.